Here we are, roaring right through the holidays season into a whole new year! This time of year brings about reflection and aspirations for the year ahead, with many of us setting those New Year’s resolutions. If your plans for the new year include buying your first home, I’ve got some great advice for you. Buying a home can be stressful under any circumstances, but if you are a first-time homebuyer, your stress can be compounded by fear of the unknown. Before you decide to navigate the jungle of metro Atlanta real estate, consider this advice for first-time homebuyers. The first thing you’ll want to determine as you begin your quest for a new home is how much home you can afford and what down payment you will have to make. You’ll want to check with a reputable lender to find out what mortgage you will qualify for and what down payment to expect. Most lenders offer loans with 10-20 percent down payment, but other loans are available with lower down payments. Keep in mind that with lower down payments, mortgage insurance will be required, so your monthly payments will be higher. Here is a link to our preferred lender if you need some guidance. Although the lender will let you know what you qualify for, only you know what you want your mortgage obligation to be monthly. Consider your lifestyle when you make this decision as no one wants to end up with a monthly payment they really can’t afford. There is a lot that goes into buying a new home. If you decide to go it on your own, you will not have anyone on your side to educate you about your market, help you search for your dream home, negotiate on your behalf and guide you through this complex process. At the end of the day, your real estate agent will be there for you, to make sure the entire process goes as smoothly as possible and you reach your desired outcome with minimal stress. What do you want in a new home? How do you even know where to start with this question? Do you prefer old or new, what is your style preference, how much living space and bedrooms will you need, do you want a big yard or small, what location do you desire and there are many more questions to answer…it can be overwhelming! I always recommend starting a new home wishlist. I’ve compiled a list of questions you should ask yourself when coming up with your wishlist which is available here. One of the biggest questions you need to answer when considering buying your first home is where you’d like to live. Do you prefer rural, suburban or city life? Do you want to be in a walkable community, a community full of outdoor activities, or a neighborhood close to shopping and transportation? The great news is metro Atlanta has many wonderful communities, each with its own unique style. Visit my Communities Pages to check out some of the most popular communities in Metro Atlanta then pick which ones you’d like to explore on your own. Once you’ve decided to make an offer on a home, you’ll rely heavily on the advice of your real estate agent. Your agent will be able to advise you on market conditions, fair price based on comps and home condition, offer terms and contingencies. They’ll also make sure your offer covers all the bases and that your desires are fulfilled. Home inspections are for your benefit. They can expose the secret issues a home might be hiding so you know exactly what you are getting into. If there are major issues, experts can be called in to assess the situation, and if need be, you can choose to walk away or ask for the issue to be repaired. This is another area where your real estate agent will be your biggest advocate and negotiate to ensure you get the best outcome. The closing process can also be very cumbersome and time-consuming, so it’s important to be prepared with all paperwork in order. Your real estate agent will make sure you are well prepared for closing and nothing is standing in the way of you purchasing your new home. If you are well prepared for your closing, it will be quick and painless and you’ll be a homeowner before you know it! Congratulations! You’ve purchased your new home! What an exciting time, and I assure you there’s LOTS to do! First and foremost, you’ll want to set up your utilities: Electric, Gas, Cable, Phone, Water/Sewer and Waste Disposal all need to be set up for your new home. If your new home is in the Metro Atlanta area we’ve got a convenient list of service providers for many Metro Atlanta communities via this link. If you’re planning on buying your first home in 2018, I hope you’ll reach out to me. 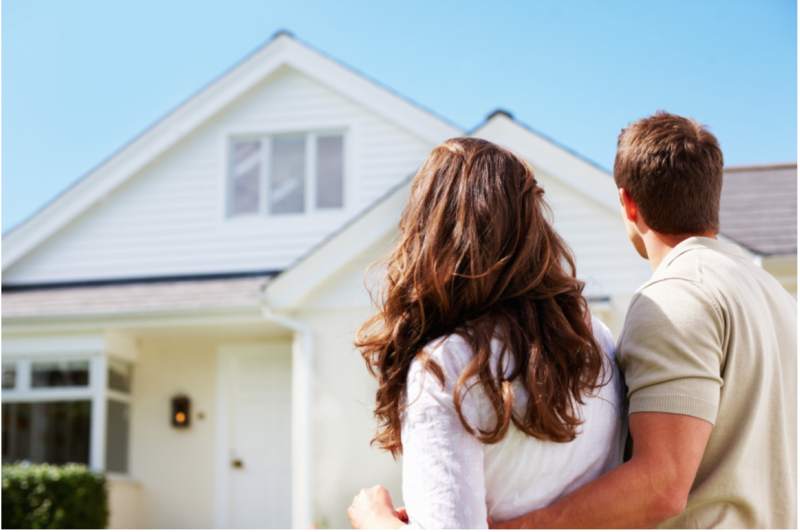 At the Susan Brack Team, we’re confident we can help you find the perfect home to match your needs, and we’ll be there working on your behalf through the entire process. Please don’t hesitate to contact us for any of your real estate needs in 2018.